Armbands worn by Francis Little Moon, although August Hermans mistakenly calls him Herbert on the tag for the artifacts. The tag reads, "Pair of armbands (hide and beads) from little Herbert Little Moon. (White, orange, blue, green, blue, orange, white.) Purchased November 3rd 1935." 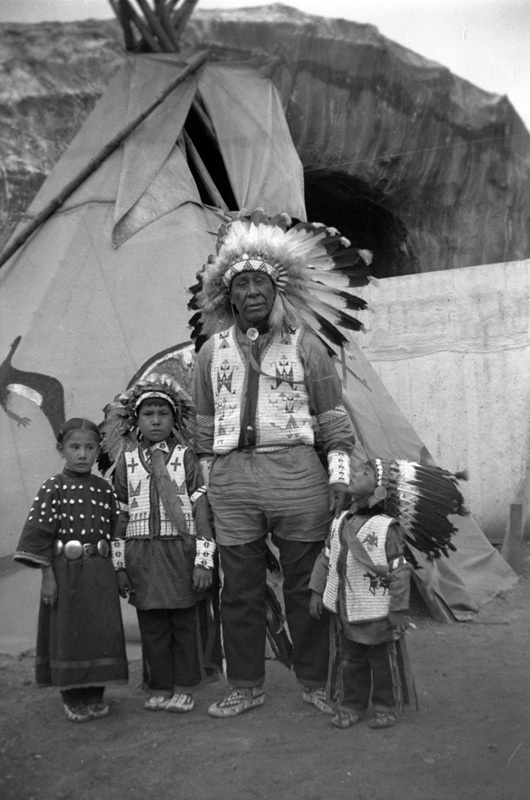 The armbands are visible in a photo of Francis and his siblings with Sam Lone Bear.